Most water sports lovers agree that surfing is fun and exciting. Aside from these, the waves also pose a sense of challenge that entices many people to give it a try—see if it’s something they can be good at. 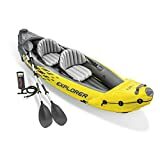 To get started with this sport, however, you’ll need the right equipment. There are many different types of surfboards and you would want to choose one that suits your level the best. If you are new to surfing, we’ve narrowed down the list for you. Here’s our review of the best surfboards for beginners to help you choose the right one. Not all boards are created equal and most people have a preference—but it all boils down to one common denominator: You’ll need a well-performing surfboard. For beginners, choosing something that can ensure easy maneuverability and stability is key. It’ll help you learn faster and make the activity safer for you as well. The ​​​ SBBC 8' Verve Soft Top Surfboard is an entry-level board produced by South Bay Board Co. The foam top makes surfboard paddling easy, beginner-friendly, and stable. With the SBBC 8’ ​Verve, a beginner in surfing ​doesn't need to worry about hitting the board should they fall. The soft top protects you from light injuries which are pretty inevitable for beginners. The foam is designed with the company’s custom Fingerprint texture IXPE foam. The texture removes the need to wax the board, allowing it to stay clean for long. Furthermore, it is not skin abrasive compared to the croc-skin or diamond-textured foam. The fingerprint texture also has the added benefit of a stronger and natural grip to the deck. Each component and material in the surfboard services a purpose—primarily, for enhancement of style and durability. Take the Triple Stringer System of the 8’ Verve surfboard for example. The material is heat compressed and custom molded with EPS closed cell foam, preventing water from being absorbed in the foam. 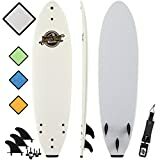 You can have fun while learning to surf with ​this surfboard’s rounded mini-log nose and rounded tail which is designed for speed and stability. Users of the 8’ Verve surfboard find it stable, solid, and the soft top firm and well built. Most users claim the board to be buoyant and light, giving the feeling of falling into the right wave. Lastly, the double concave design lets water pass through channels to the board’s fins. The result? Optimum surfboard performance. The ​ SBBC 7’ Ruccus Soft Top Surfboard ​is another South Bay Board Co. product designed for beginner surfers (50 to 150 lbs weight). 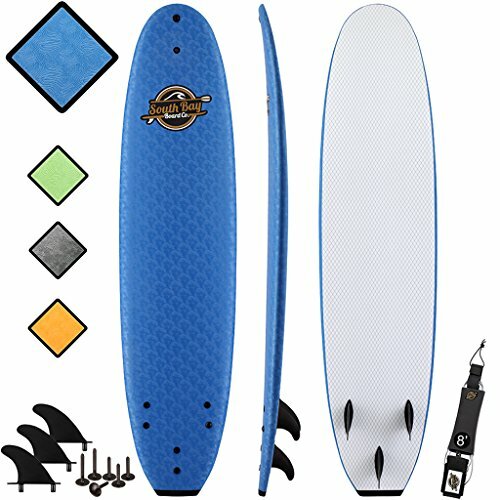 Regular surfers who are at casual wave ripper level can also get plenty of use from this board. The ​Ruccus makes it easy for novice surfers to catch waves in the initial whitewater stage. Beginners need not worry about the surfboard’s dimension of 84” x 22” x 2.85”. The board is light and buoyant which makes it easy to paddle. 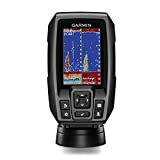 A feature which accounts for its enhanced durability is the Slick Hard Bottom made of HDPE plastic. The bottom is also reinforced with Plastic Diamond Weave designed to disperse impact on the surfboard. This surfboard design adds style and stability. Whatever your surfing level, you’ll find the shape of the board gives you comfortable speed and smooth turns. Want to catch your surfing experience on video? The SBBC 7’ soft top Ruccus has an FPS Action Camera Mount when out in the water. Beginners who use the SBBC 7’ Ruccus claim they find it easy to maneuver the surfboard. Others praise the high quality materials and its solid construction. The affordable ​cost makes this board a favorite among beginners. A surfboard designed for small adults and kids, the ​​​ Liquid Shredder 70 FSE EPS/PE Soft Surf BoardI is both light and soft. This board belongs to the FSE foamie series and has a size of 7’ x 20”. ​It's suitable for a rider with a weight capacity of 140 lbs. The size of the board makes it perfect for novice surfers. A smaller adult or a kid would find it difficult to practice and handle a big surfboard. Note that any difficulty experienced during the learning stage will have a great impact on the beginner’s progress. 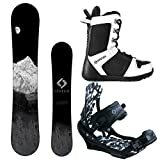 The Liquid Shredder is heat laminated and comes with an EPE soft foam deck and EPE core. These features ensure that the board is 100% waterproof. Furthermore, the EPE offers enhanced comfort coupled with an anti-slip texture when the board is wet. The board’s bottom is made of polypropylene (PP) which also features a slick surface. 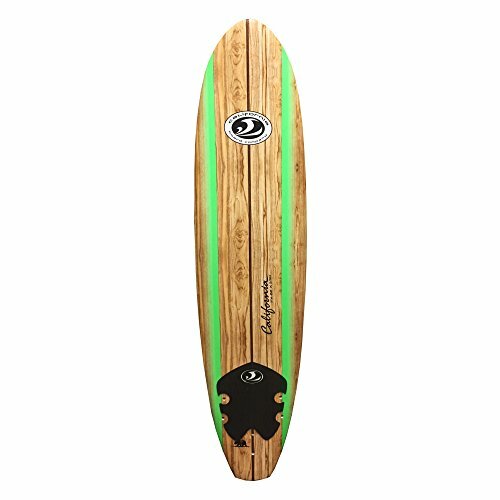 The board is also equipped with wooden stringers which provide surfers with that desired rigidity. Most adults who buy th​is board for their kids comment on ​it being lightweight ​and very easy to carry. Many have observed their kids becoming more enthusiastic about learning simply because the board is convenient and easy to master. 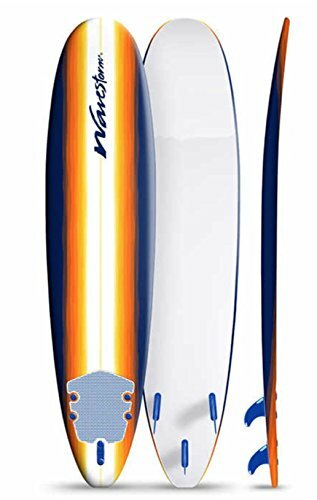 The ​​​ Wavestorm 8’ Surfboard is known for its soft board and well-performing features ideal for those learning to surf. Beginners in surfing will enjoy riding th​is board as it is light yet provides ample stability. It’s easy to transport too. The surfboard’s design is Wavestorm’s pride and uses their Graphic Film Technology (GFTTM). The board’s pinstripes will last long and will not fade even when exposed to UV rays. This board will keep its appearance for quite a while, that’s for sure. Th​is product is also known for durability due to its HDPE component. The HDPE adds strength to the bottom skin, furthering its durability and resilience against wave impact. Handling the board is convenient too, as it comes equipped with strong extruded polystyrene. The 3 marine-ply stringers system makes handling of the board comfortable. If you want more stability, the Wavestorm 8’ is for you. The board has an EBS cross link on deck and rails which enhances the board’s stabilization. ​It will not break easily and also comes with strong bolted components. 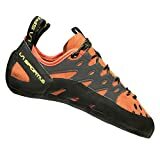 If you are the kind of novice surfer who wants to constantly challenge themselves, it also comes with a pre-installed ankle leash which is removable. Wavestorm 8’ surfboard users find this model adequate for beginners. Users trust ​the durability of the materials and the overall design. In terms of price, they’re quite happy with the value this board provides for how much it costs. 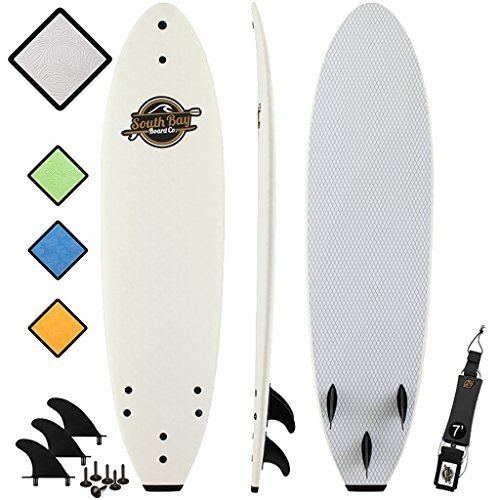 The ​ California Board Company (CBC) 7’ Surfboard is a favorite choice for beginners in surfing. The board is made of high-density EPS core which accounts for its durability and lightweight. The EPS core also contains a heat laminated feature which makes the board’s core 100% waterproof. The board’s bottom was also given the same treatment, allowing the surfer a clean and quick slice through the water. 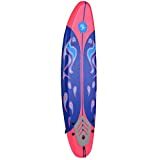 ​It comes with a tri-fin system designed for easy maneuverability, allowing surfers to catch waves with ease and handle turns smoothly. If you are a beginner, these are important to get you off the right track. The CBC 7’ foam surfboard’s shape is custom-molded consisting of 3 layers of laminated wood stringers with a waterproof resin coating. This feature makes this surfboard a favorite among beginners as the board remains buoyant even when water condition is choppy. This surfboard model weighs 8 lbs and is suitable for a surfer with a weight capacity of 210 lbs. You can forget about the board while surfing and focus on learning as it comes with a surf leash, a double swivel rail, and a padded ankle strap. CBC 7’ foam surfboard users find this particular model ​versatile and stable. The design and construction of the board make it worth the money—as it isn’t that hefty of an investment. Novice surfers also claim that the board is an ideal platform to practice pop-ups. For a beginner in surfing, it’s important to look beyond the cosmetic appearance of a board. Shape and size matter here and can affect how well or how badly your lessons go. Keep in mind that each piece on a surfboard has a function. Knowing the basics will not only help you better understand how a surfboard works, but it can also improve how well you use it. Shall we discuss further? The present-day surfboard is a far cry from the wooden planks which were used by Hawaiians approximately 3,000 years ago. The modern surfboard is stronger, lighter in weight, and many are handmade by experts out of foam then coated with fiberglass. Needless to say, surfboard tech has progressed a lot and is constantly improving as well. The deck is the surfboard’s top side. It is where you stand to surf or lay to paddle. Surfers often use a traction pad to give them extra grip. From the deck, there is a slight chamber running from the rail to the middle and back to the rail. This construction is the domed deck which offers easy rail-to-rail movements. There is another type of deck known as the flat deck. The nose is the front part of the surfboard. It is the first 12” from the tip of the board. The shape can be pointed or rounded, depending on the type of surfboard, and influences maneuverability and paddling. Some surfers use a surfboard nose guard to protect the board from dings and impact from other boards. The tail is located at the back of the surfboard, the 12” portion starting from the very end. There are different shapes and each one is designed to enhance performance. You will often find a small cup on the tail and this is called a leash plug. When checking out tails, remember that angular tails provide sharper and more pivotal turns. Tails that are round provide smoother turns. It is the shape of the tail that gives you the hold and release control on the surface of the wave. The edge of the surfboard is referred to as the rails. The rails span the area from the nose to the tail; it is also where the bottom and the deck meet. The shape of the rails also affects the board’s performance. Novice surfers may take the rails for granted. However, professional surfers know the design of the rails help maneuver turns through the water, add flotation, and catch speed. A stringer adds rigidity and stiffness to the surfboard. It is a thin wood strip located at the center of the board, running from nose to tail. The stringer’s width varies depending on the type of board. For a novice surfer, choosing the right surfboard is important. The wrong board could impede your surfing progress and discourage you from surfing. When choosing a surfboard, consider your weight, level of fitness, and age. The equation to remember is: more age + more weight + less skill = a slightly larger board. Also, the beach where you surf and the type of waves you are likely to encounter should factor into your decision. The surfboard should mirror what you are now and not what you want to be. Expect to ding and scratch your board as a novice surfer. At this initial stage of your surfing, an expensive board will scratch and dent as much as a cheap one. So, looks should not matter; ignore small dents and yellowing. But, avoid delamination and dents that show foam. It’s not about looking cool. This is about learning ​to the appropriate equipment. Always pick a surfboard that gives buoyancy and easy paddling. An appropriate size for a beginner should be 7’ long (or a foot taller than you are), approximately 19” to 21” wide, and 2” to 3” thick. 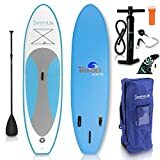 The board depends on your size, therefore, pick one you can carry with ease and maneuver in the water. ​The first times you surf, you should not worry about the tail’s shape. And, the number of fins on your surfboard should not be a cause for worry. During the first 3 to 6 months of your learning, you will not be performing maneuvers. So, there is no point in being concerned whether your board is a pintail, a swallow, or has no fin at all. 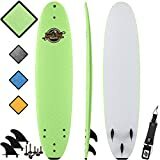 As a matter of interest, the surfboard with 3 fins makes for th​e easiest turn and is the most functional board for intermediate and advanced surfers. Also referred to as “foamies”, soft surfboards provide a novice surfer with advantages. The soft board’s size and stability make it easy for a beginner surfer to catch waves, do pop-ups, make the most of practice time, and experience less fall. How well you learn surfing depends on your choice—a bad pick increases difficulty. Always consider the aforementioned factors and don’t just purchase one based on aesthetics. When you’re confident in your skills, that’s when you invest in something that not only works well, but also looks good. The surfboards reviewed are for kids and adult beginners; but, you still can use these surfboards as you level up on surfing. Of the five products reviewed, we favor the ​​ SBBC 7’ Ruccus Soft Top Surfboard. The design of the ​Ruccus makes learning to surf fun which is great for motivating you to persist with the sport. The high quality materials used are intended to provide beginners what they need to facilitate their learning progress. What is more, the board comes at an affordable price compared to other products reviewed. All that aside, we also like the fact that it comes with an FPS Action Camera Mount. Most beginners would want to capture the experience on video—and this nifty little addition makes that easy to do. A small bonus, but a truly functional one. We hope our review of the boards helps you arrive at an informed decision in choosing the best surfboard​ for beginners.